Climbing High on Mount Everest. 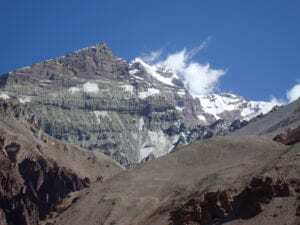 I am sitting in my tent at 8,000 meters, high on Mount Everest, and someone comes to tell my climbing partner, Graham, and I that a Swiss climber has died in the next tent to us and we would have to step over a body at the Balcony at 8,400m. As I am sitting here, preparing to enter the higher realm of the Death Zone on Mt. Everest, I was faced with the fact that two fellow climbers had died, one of which I may have to actually step over at some stage on the climb to the summit. 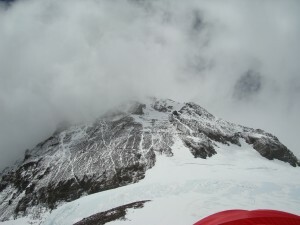 It is the 22nd May 2008, and we have 8 hours sitting and resting in camp four at 7,950m before we take off into the higher realm of the death zone. We are trying to eat and drink whatever our stomachs can handle; water, hot chocolate,nuts, chocolate, and sweets, as well as mentally readying ourselves for this venture into the dark. While I lay in the tent thinking about the next 24 hours of my life, I couldn’t help but think about how everything we had done over the past three years had lead to this point. Our goal had been to climb four mountains on four continents in one year to build the Mt. Everest Primary school in Uganda with the Irish charity Fields of Life. I had failed at many things throughout my life and this was my chance to do something big, something that would not only be for myself, but something that would eventually help others. All of these factors motivated me to keeping moving and push for the top. We set out that night at 10pm, walking across Everest’s South Col in the dark. I was accompanied by my Sherpa, Pemba Chirri Sherpa, who climbed behind me, driving me forward at key points on the climb. It was – 30 degrees Fahrenheit, cold with light wind, as we began our journey up the first leg of the summit push to the Balcony at 8,400m. Each step was very difficult, and catching your breath at these altitudes can seem impossible at times. I was using supplemental oxygen, however to the surprise of many, you are actually only increasing your oxygen flow by 2% when using this, due to the fact that the canister of oxygen is a mixture of compressed gas and ambient air, so this is only helping to keep you alive, not improving your climbing ability. When you are in a dangerous environment where you are put under pressure, you begin to think of all the negative things that can possibly happen to you and it becomes very important to block those thoughts out and keep positive. There are a hundred things that can kill you on Everest and your key focus has to be on the present and focusing in on each step. I had trained to try and keep that intense focus in my training. 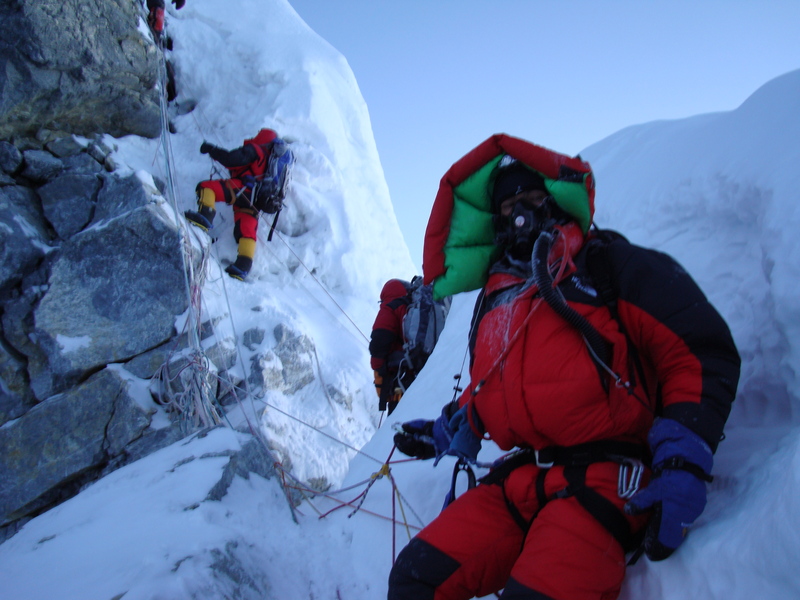 I also had to make sure I was using the right ropes, and pacing myself, keeping my heart rate at a level that I could maintain for 18 hours, using only enough energy to safely make the summit and return back down to camp 4 and base camp. On the way up to the balcony, I was thinking about the body we were told we would have to pass, and how I would deal with such a horrible thing to experience. I was thinking about the last three Irish people who tried to climb Everest before me, who all nearly lost their lives high on this mountain. But I had to remain focused, keep to the routine of taking three steps and then ten breaths, again and again in the dark, trying to stay focused to keep me going. Beyond the Balcony, the wind started to pick up and we were stopped in our tracks as the wind was swirling snow up in my face and had to decide to keep moving. I was using my hands to cover my eyes and face as the wind was strong. At that point I wanted to turn around; I was reminded of the high winds and storm that hit in 1996, when eleven people died in one day on Everest. I really didn’t want to get caught out, high on this mountain. The wind died down just enough to help me make the decision to move forward. As we were still in the dark, I could see electrical storms over the horizon, as well as six head torches above me. I was with my Sherpa but could see no other climbers behind me and wanted so much to get closer to the climbers above. I knew Martin, a Scottish climber, was ahead of me and wanted to get up to where he was to relieve the feelings of being alone on the mountain. Every step was hard work, hour after hour, step by step, pushing slowly forward. 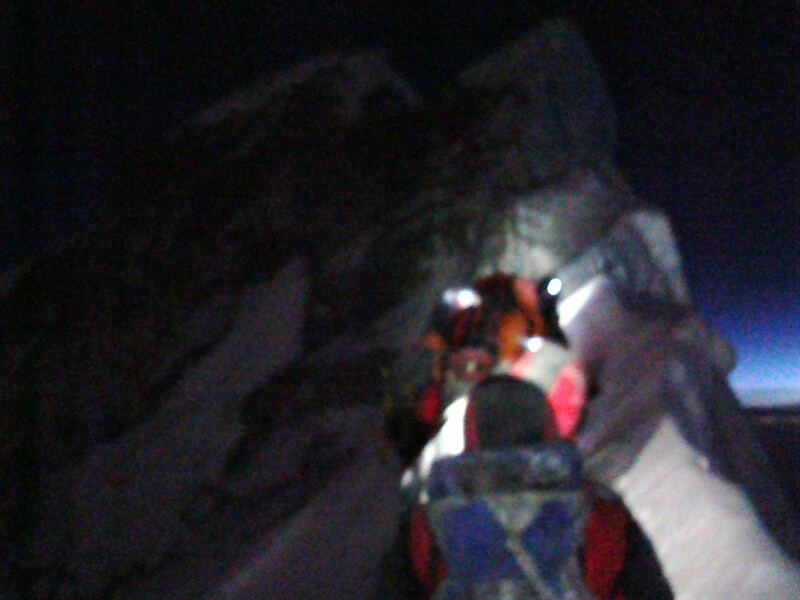 About four hours later, I reached the South Summit of Everest and sat alone in the dark, sipping some water. I was tired, my left leg was sore, my back was sore, I was tired and I felt alone. As I got up to sort out my back pack and start moving again there was a dim light on the horizon. I stepped off the back of the South Summit of Everest and there was a climber standing close to the edge on a section known as the Knife Edge Ridge, which has killed more than thirty climbers over the years. My Sherpa behind me began to shout stop, stop’ and the climber yelled back – it’s Martin, ‘I,m Blind’. Martin had lost his sight due to a lack of oxygen and couldn’t see what he was doing. It was a terrifying situation; if Martin fell he could pull us all off the mountain. 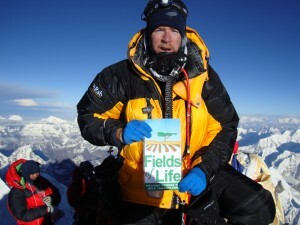 The Sherpa kept shouting over my shoulder for Martin to stop and wait, but due to the lack of oxygen at this altitude, we could not run over to help him quickly, we could only slowly move to his aide. At 8,717m above sea level on a half meter wide ridge with a 3,000m drop to your right and an 2,500m drop to your left this is a dangerous place to be, and Martin’s life was on the line. We got closer to him and he nearly stepped off the ridge when we had to place his foot back on the route. After maybe ten minutes we managed to manoeuvre Martin around us and on his way back to the South Summit with his Sherpa. Eventually the Sherpa and Martin slowly made their way back to the Balcony where he regained part of his vision. Once he descended back to the South col, he regained his sight. I was scared, and had to get off this ridge as quickly as possible. I was facing my fears in a very real and dangerous way, and my fear almost got the better of me on numerous occasions. I moved forward towards the Hillary Step and broke down. I was so afraid, I thought that if I go higher and lose my sight I might not make it back down. I began crying and found it hard to find a positive thought in my mind. My Sherpa tried to keep me positive and focused on the fact that I was strong, physically I was feeling good and that was enough to reset my mind and move forward. I continued on and climbed the Hillary Step, pushing myself the final thirty-five minutes to the summit. After the Hillary Step the ground was easier to cover and seeing the summit in the distance for the first time was enough to make that final push. I stepped up on the summit, a twenty foot long ridge and two feet wide, I took out my Irish flag and logo’s, handed my video camera’s to my Sherpa and snapped a few pictures on the summit, before I was ready to get the hell out of there. I was more exhausted than I had ever been and knew that 80% off accidents happen on the way down, so I knew that I needed to be alert. It was hard work, but slowly I kept moving down, back to Camp Four. My body and mind had performed well, my gear also held up to the rigors of climbing high on Everest, my Rab down gear, Patagonia, Berghaus,and Merino layers all held firm. My Everest Millet boots saved my feet from frostbite. I was also worried about my Diamond back guide gloves but all performed perfectly. After eight hours up to the summit and four hours back down, I reached Camp Four. With a release of emotion, I embraced my Sherpa, embraced Graham and Martin and cried. I was so happy to be alive, happy I had pushed myself past my fears and reached the top of the world. It was time to rest and refuel for the night before we would have to move two more days to get back to Everest Base Camp and then make the journey back home. To watch the full story of Ian’s journey to the top of Mount Everest, you can purchase Ian’s Everest DVD Documentary -Everest, ‘A Summit Calling’ by contacting info@iantaylortrekking.com If you would like more information on any of his trips on offer CLICK HERE and join us. CLICK HERE for more blog posts.